Fluidigm said today it will partner with Genomenon to offer evidence-based genomic panel design services for translational and clinical research, through a collaboration whose value was not disclosed. The companies have signed a co-marketing agreement to create a joint panel design offering intended to help researchers accelerate the design of disease-specific next-generation sequencing (NGS), genotyping, and real-time PCR panels for use with Fluidigm’s automated microfluidic systems. The offering includes Genomenon’s Mastermind Panel Design Service, which is designed to help researchers access up-to-date genetic and genomic information for the development of assays identifying disease-specific biomarkers. The service is aimed at researchers using Genomenon’s proprietary Mastermind genomic search database and automated machine learning algorithms. The algorithms are designed to use data from Mastermind Genomic Database to find relevant gene- and variant-specific therapeutic, prognostic, and diagnostic information in the literature, accompanied by literature citations for each association. The data is envisioned to help researchers decide which targets to include in their final NGS panel faster than other methods. 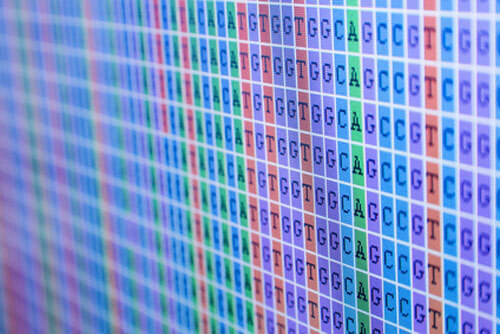 Genomenon’s web-based Mastermind Genomic Search Engine is designed to link data on DNA mutations from patients with citations from scientific publications, with the goal of understanding the clinical impact of each mutation. Mastermind aims to comprehensively identify all clinically relevant and prioritized articles, and as of last month had indexed nearly 6 million scientific articles covering every disease, gene and variant. Genomenon curates data on the biomarkers based on the strength and quality of the scientific evidence found in the literature, then delivers a set of prioritized candidates to researchers to aid in panel design. Fluidigm said the offering will shorten the most time-consuming part of the panel design process, target identification, from up to one year to just a few weeks. The company said researchers can develop scientifically robust genomic panels more efficiently by combining the offering with its existing Fluidigm D3 services for panel assay design. “This valuable addition to our custom genomic panel design offering represents an important building block in expanding the benefits of microfluidics technology to a wider range of disease research areas,” Fluidigm president and CEO Chris Linthwaite said in a statement.